Make-A-Mix is really two cookbooks in one. The cookbook begins with 67 make-ahead shortcut mixes for everything from all-purpose cake mix to meatball mix. These can be made on a weekend-or whenever there's free time-and used to speed food preparation on busy days. The mixes are a key ingredient in one or more of the 306 recipes that follow. The kitchen-tested recipes run the gamut from breakfast dishes to after-dinner treats. They include hearty dinner entrees, like enchilada casserole, onion pot roast, and shrimp & vegetable stir-fry international fare like green chili burritos and quick chow mein soups and other appetizers, like New England clam chowder, and even freezer treats like fruit slush. With the Make-A-Mix method, home cooks can control the amount of sugar, salt, and preservatives in a recipe, and save money on store-bought mixes. 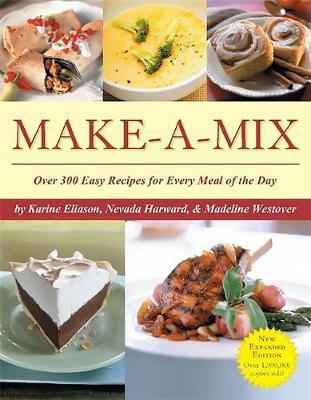 This cookbook is the updated and expanded version of Make-A-Mix that sold over a million copies.